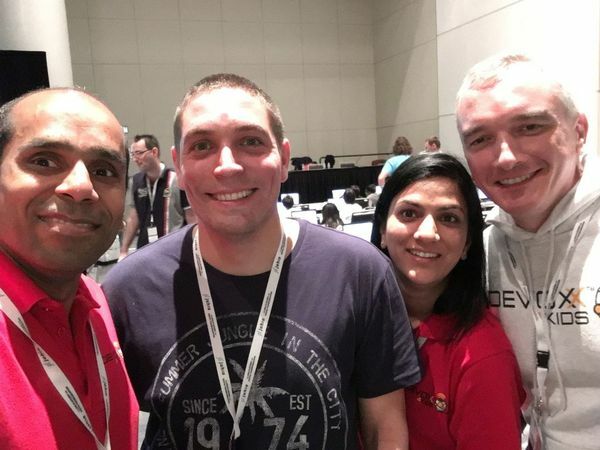 JavaOne4Kids 2015 Wrapup – Devoxx4Kids and Oracle Academy Together! 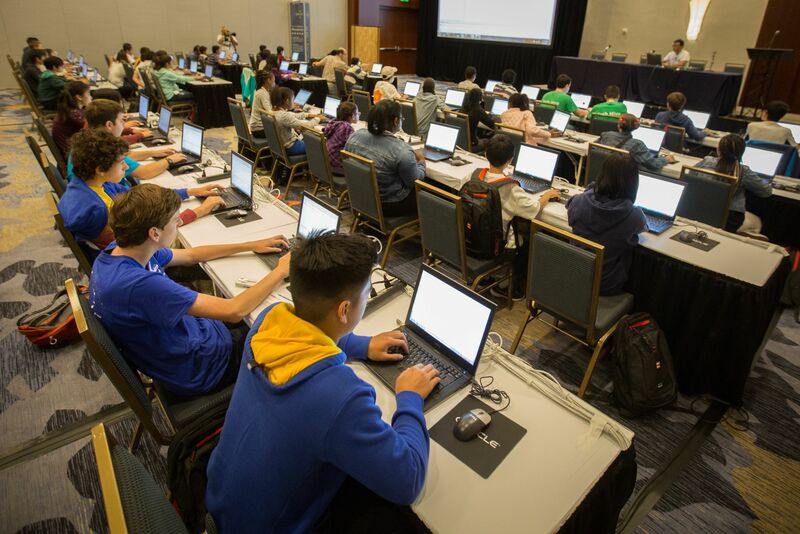 JavaOne4Kids is focused on promoting technology to next generation of developers; kids who want to learn more about programming, robotics and engineering. 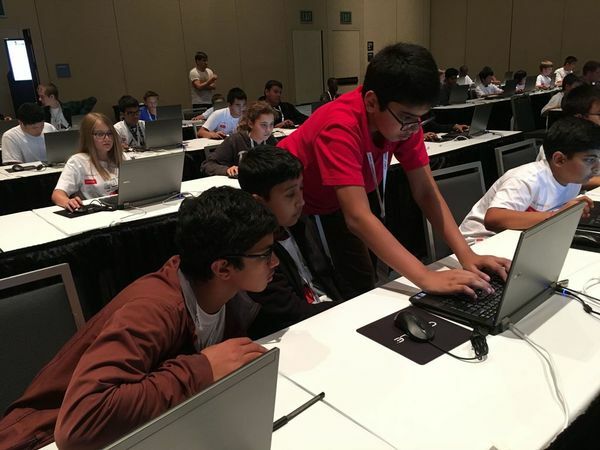 Oracle Academy collaborated with Devoxx4Kids to bring kids content that includes several topics like Minecraft Modding, Java, Python, Scratch, Raspberry Pi, Arduino, NAO robot, LEGO Mindstorms, Greenfoot, Alice, and others at JavaOne 2015. The attendance grew 3x from last year and it was certainly very heartening to see that! 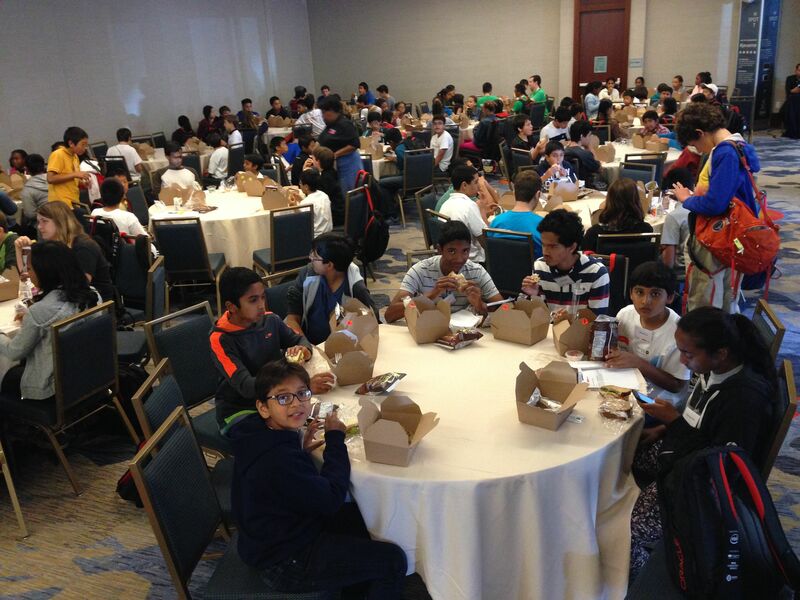 If you live in/around San Francisco Bay Area, and want a more continued experience through out the year, then its highly recommend to join meetup.com/Devoxx4Kids-BayArea/! It takes a village to run an event like this. 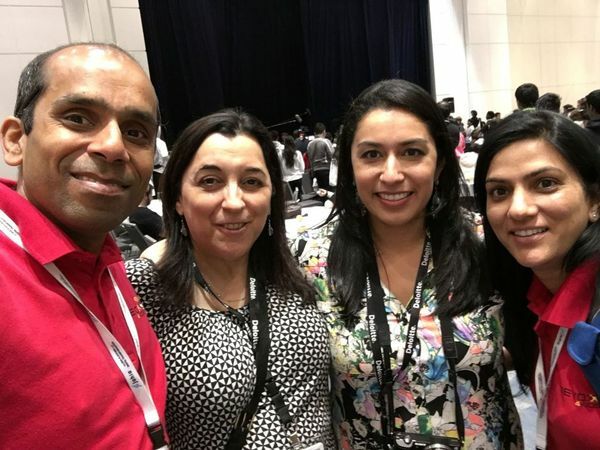 This was certainly not possible without the impeccable support from Oracle team, instructors, and volunteers who helped us through out the event! Do we expect these kids to come back to again next year? Yes, absolutely! 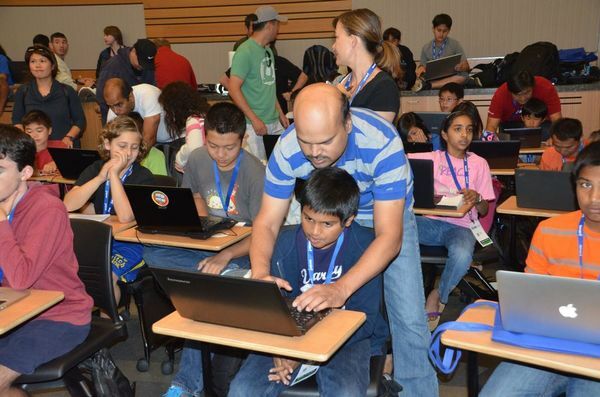 Don’t forget to join the local meetup.com/devoxx4kids-bayarea for local events in Bay Area. Introduction to programming languages to kids need to be gamified. They typically seem to like it, and in the process, they also develop a liking for the language. They also have a better understanding of the typical code and run steps that is common in a software developer’s life. 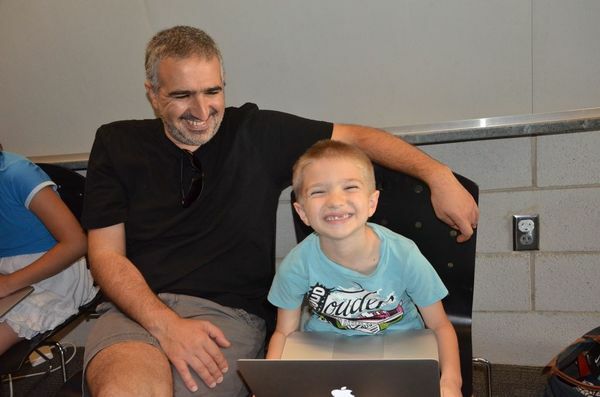 As part of Devoxx4Kids, my son and I have been teaching Minecraft Modding workshop for 2+ years now. We’ve personally reached out to 2000+ kids in Bay Area and other parts of the world, and help them write first Hello World program for Java. And its not the conventional public static void main, its a Minecraft Mod. 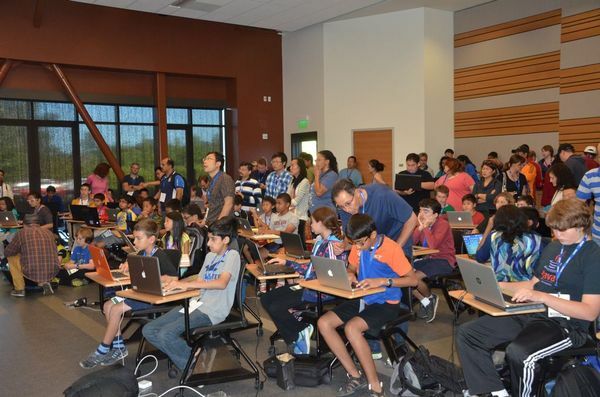 This workshop has also been used at several other Devoxx4Kids chapters around the world. 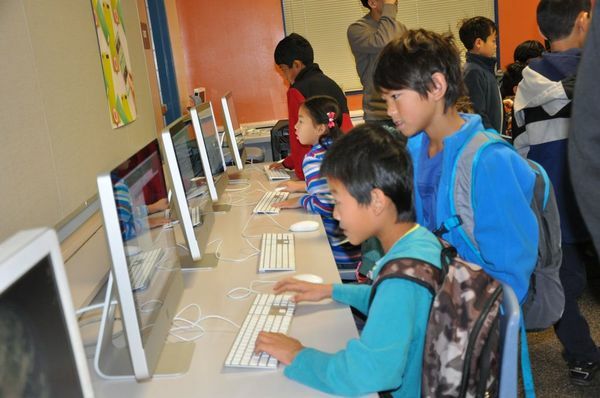 As part of our workshops, “code” to kids is copy/pasting the text from the website and understanding it. “Build” is just clicking a button in Eclipse bringing Minecraft launcher. Once the game comes up, they know how to play it and see instant modifications. They don’t have to wait for Hello World to appear on their screen. They type “potato” and see a stack of 64 potatoes in their inventor, or they spawn an Ender Dragon from dragon egg or they make skeletons fight with each other. This is the new Hello World! The installation of JDK, Eclipse or NetBeans, and Forge typically takes ~45 minutes. But after that initial hump, kids are able to build 3-4 mods in a total of ~2 hrs. Our philosophy is more on the lines of teaching them how to think to mod. Yes, we do teach them a few mod but we enable them to create their own mods as well. Java is often complained about being a verbose language. But Forge decompiled code in Java makes it much easier to read the code, and help kids understand how to change it to make modifications. The fact that kids love playing the game, this allows the workshop to just leverage their passion and help them in their journey towards becoming a Java programmer. It really helps lowering the average age of Java developer! We were also able to coach some additional volunteers and hopefully spread the Java fever to a wider audience. 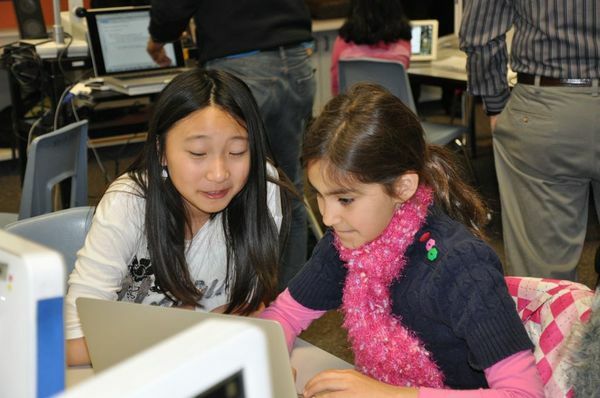 Check out complete photos at meetup.com/devoxx4kids-bayarea. Would you be interested in delivering this workshop at your local school, library, or corporate event? Would you like teachers in your school to be trained for Minecraft Modding? If you are in Bay Area, how about make this a social activity at your workplace for a weekend? Invite us to deliver this workshop. 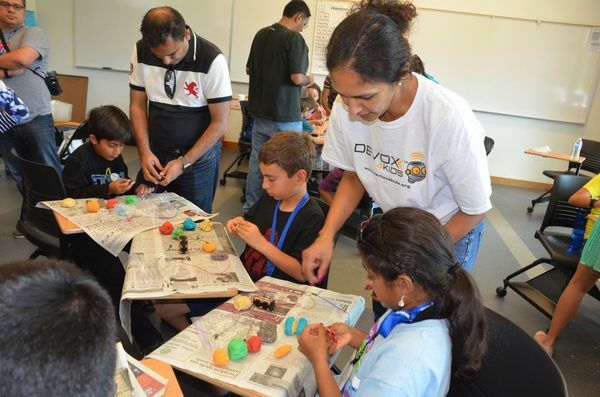 If you are not in Bay Area, send us an email at info@devoxx4kids.org and we’ll hook you up with the local Devoxx4Kids chapter lead who can then help you get started. 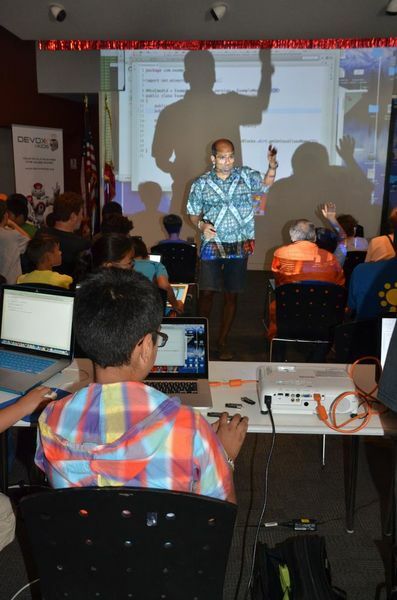 Devoxx4Kids is a NPO and 501(c)(3) and we love to ignite that spark in kids for technology! Workshop instructions are available at minecraftmodding.org. Minecraft Modding with Forge book from O’Reilly. This book is targeted at 8+ year old who has no prior programming experience. Parents with no technical background have also found this book to be a great resource. 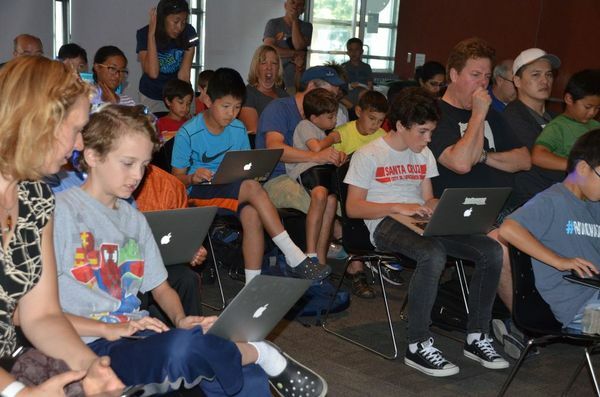 Devoxx4Kids Minecraft Modding workshop has been used all around the world by kids as their first introduction to Java programming, even programming in several cases. This workshop has been delivered at our meetups, corporate events such as OSCON, Silicon Valley Code Camp, JavaOne and Red Hat Summit, schools, libraries, workplaces, homes, and many other venues. And now its going to the most coveted and sought after place for all minecrafters around the world – Minecon 2015! Many thanks to Microsoft (now the parent company of Mojang) for extending the invitation! Minecon is the biggest gathering of all minecrafters on this planet. About 10,000 attendees are expected to gather on Jul 4th and 5th in London this year. This will be our first time there. We are super excited and can’t wait to experience the phenomenon. You can participate in Minecon virtually as well! Are there any questions that you’d like to ask the panelists? Leave a comment in the blog and I’ll try to accommodate as many of them as possible. As always, follow me @arungupta to watch out for comments/pictures from the event! Running a Devoxx4Kids event as an ancillary to the main event is a great way to engage local community. Such an event can consist of not just minecraft modding, but several other topics such as Scratch, Greenfoot, and HTML5/CSS. Let us know if your corporate event is interested in running a Devoxx4Kids workshop the weekend before/after the main event! ~70 kids were sprawling in a part of the Hynes Convention Center in Boston last Sunday. They were invited by Red Hat to participate in a variety of workshops and get them introduced to technology in a fun way. 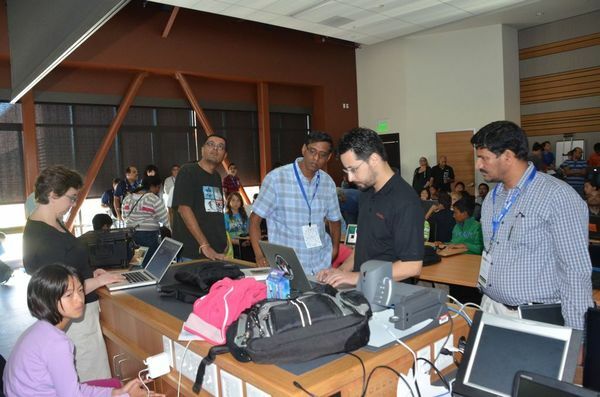 The workshops were facilitated by Devoxx4Kids instructors and Red Hatters. This is right before the start of Red Hat Summit – a premier open source technology conference for the “big kids”. Overall, it has been quite a joyful and rewarding experience to promote STEM to elementary and middle school kids! Running a Devoxx4Kids event as an ancillary to the main event is a great way to engage local community. 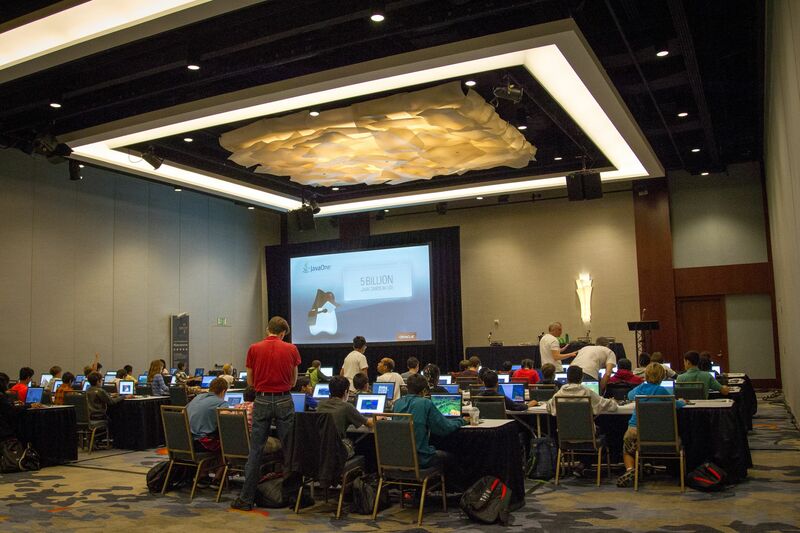 Red Hat Summit is the fourth corporate event in the US (after OSCON 2nd year, JavaOne 2nd year, and Silicon Valley Code Camp) to partner with Devoxx4Kids and give back to the community. Let us know if your corporate event is interested in running a Devoxx4Kids workshop the weekend before/after the main event! 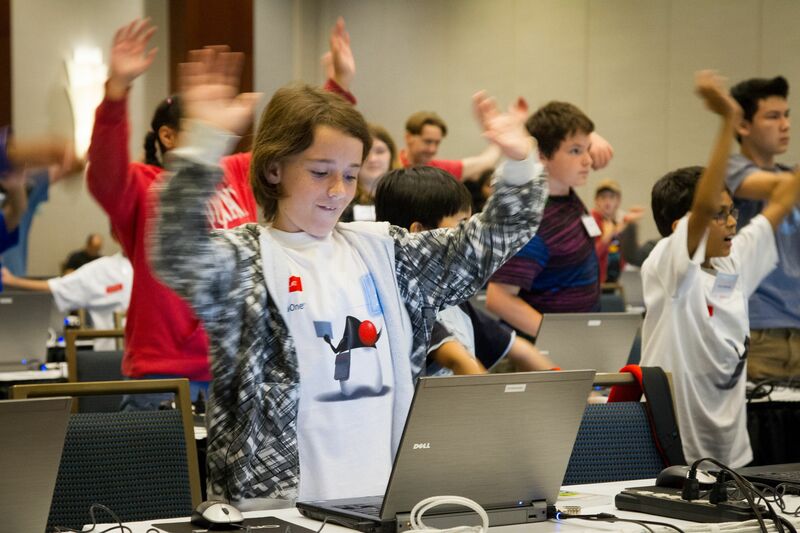 Devoxx4Kids workshops at Red Hat Summit and DevNation – Register Now! Red Hat Summit and DevNation are asking to Bring Your Kids to Conference, aka BYKC! Are you speaking or attending Red Hat Summit or DevNation? Do you live in and around Boston area? Interested in having your kids attend a workshop? The age limits are only suggested and you better know the capabilities of your kid! 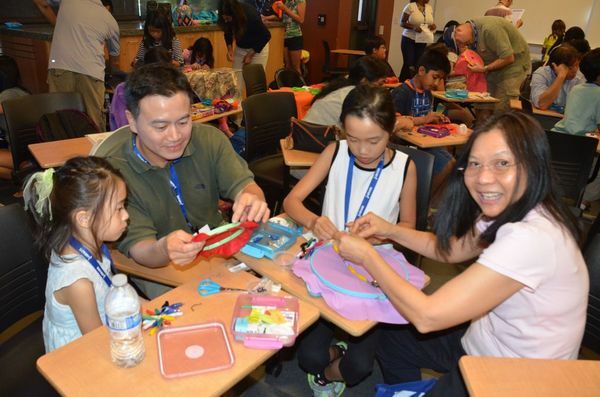 Parents would stay with their kids for the duration of the workshop. Greenfoot: Lets make some games! Hey you – yes you – do you like playing video or computer games? Well then how about learning to make your own? Come join us as we hang out for two hours and make some computer games with Greenfoot. Along the way you will learn about computer programming – make your computer do things you want. We will wrap up by showing you some places to go to talk with other people making games and more places to become a more powerful wizard! Be sure to bring a laptop – this will definitely be hands on. The traditional way to create an application is write code. You type commands, one after another, telling the computer or the smartphone what to do next. When you type commands on a keyboard, it’s easy to make mistakes. What’s more, at a glance, the commands look nothing like the things that you’re getting the computer or smartphone to do. Taken together, the commands are just a bunch of text. But there’s another way to create an application. With App Inventor, you build instructions by fitting building blocks together with one another on the computer screen. The blocks fit together like jigsaw puzzle pieces. When it’s finished, the whole jigsaw puzzle describes all the commands in your application. In this workshop, you learn to use App Inventor. You can run your applications on the computers in the lab. You can also install your applications on real Android phones. Dr. Racket: Don’t dictate, evaluate! This workshop introduces the basics of functional programming using the Dr. Racket programming environment. In the first part of the workshop you will learn how to evaluate expressions in the Dr. Racket interpreter, including expressions like <if html were available to display the abstract I’ld show here a racket expression that included an actual devox4 kids image>. In the second part of the workshop we will work on developing a very simple animation. If time permits we will show how we can make our animations interactive, i.e., have them respond to key presses and mouse clicks. 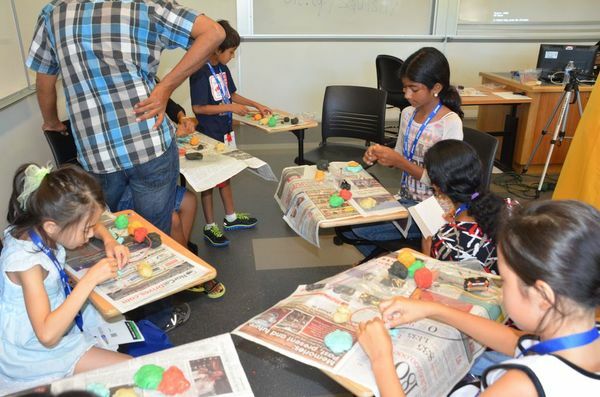 The workshop is constructed to allow roughly equal amounts of time for experimentation and instruction. Minecraft is a multi-player game about building and placing blocks in a three-dimensional environment. The game allows modifications (known as “mods”) that can change the game from what it was originally written. These mods can add content to the game to alter gameplay. For example, new blocks, mobs, and abilities of player can be added. Have you always wondered what it takes to write these mods ? This workshop is for you! In this workshop we’ll teach the kids on how to build Minecraft mods. In the process, they also learn some basic Java concepts as well. No programming experience is required. Scratch (scratch.mit.edu) makes it easy to create interactive stories, animations, games, music, and art, and share these creations on the web. You will create several fun and interesting Scratch programs. No programming experience or typing skill is required. Are you living in/around Boston area? Interested in becoming a volunteer? No programming experience is required, some familiarity with computers would be useful. You’ll be required to listen to the instructor and help the attendees follow along. Once again, don’t forget to register if you or your kid would like to attend the workshop! 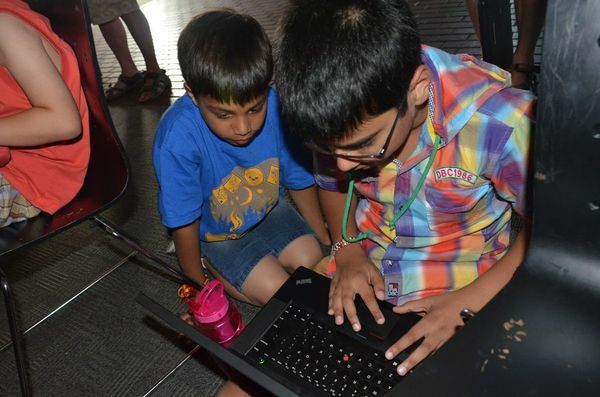 Red Hat is hosting a Devoxx4Kids event that will invite technology educators and kids together on Sunday, Jun 21 in Boston, MA. Are you speaking or attending Red Hat Summit or DevNation? Do you live in and around Boston area? 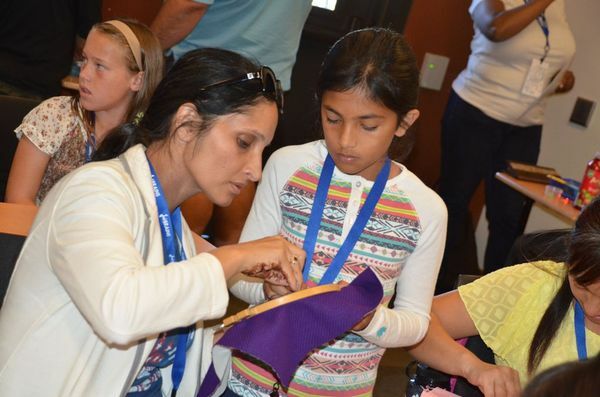 Are you interested in delivering a 2-hour hands-on workshop for kids on the Sunday before the main conference? This is an opportunity for developers and educators who would like to give a 2-hour hands-on workshop to kids from 6-16 years old. Presenters will need to arrange all the software and hardware required for the lab, except laptops which will be provided. What are some of the suggested topics that can be submitted for the workshops? 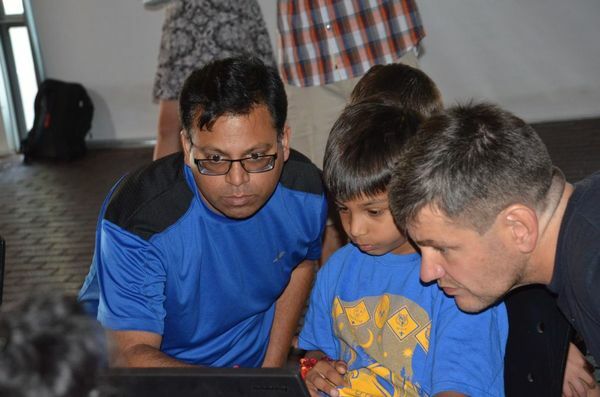 Are you involved with CoderDojo or a Devoxx4Kids instructor who would like to give a workshop in Boston? 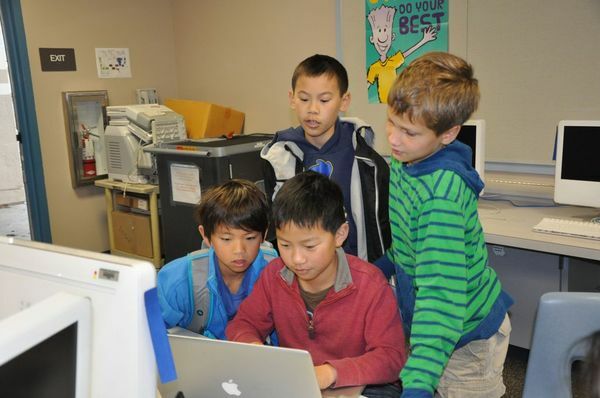 Do you like to tinker with Tynker, Scratch, Blockly, Greenfoot or any other such technology? 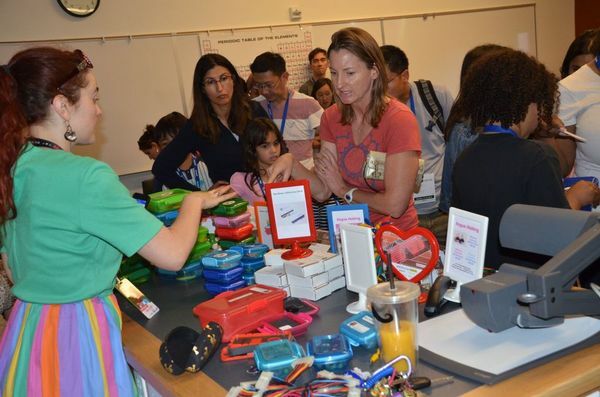 Have you been giving workshops on LEGO, Arduino, RaspberryPi, Intel Galileo, or any other fancy boards? Would you like to show a real practical use case of Internet of Things to kids using simple software and hardware? Teach kids workshops on basic principles of Open Source? Build a simple mobile applications using Android or iOS? And these are only suggested topics. We know that you are much more creative and can submit all sorts of fun sessions. We have a limited capacity and looking forward to your submissions. You’ve until May 7th to submit your workshops. If you’ve submitted talks for the main conference, then this would be a great opportunity to bring your kids. They can either attend the workshop, or even deliver a workshop. Young presenters are always very inspiring! 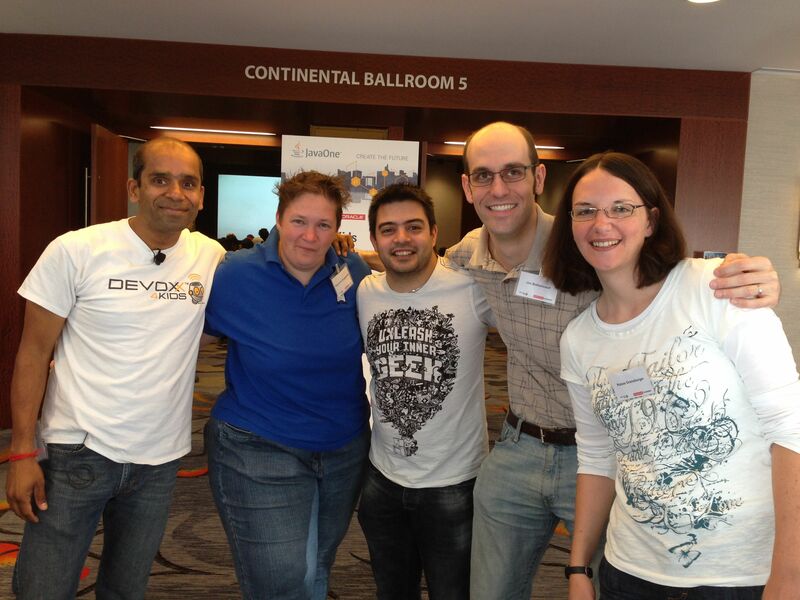 You can learn more about Red Hat’s involvement with Devoxx4Kids at jboss.org/devoxx4kids. Registration for this event will be announce at a later date. 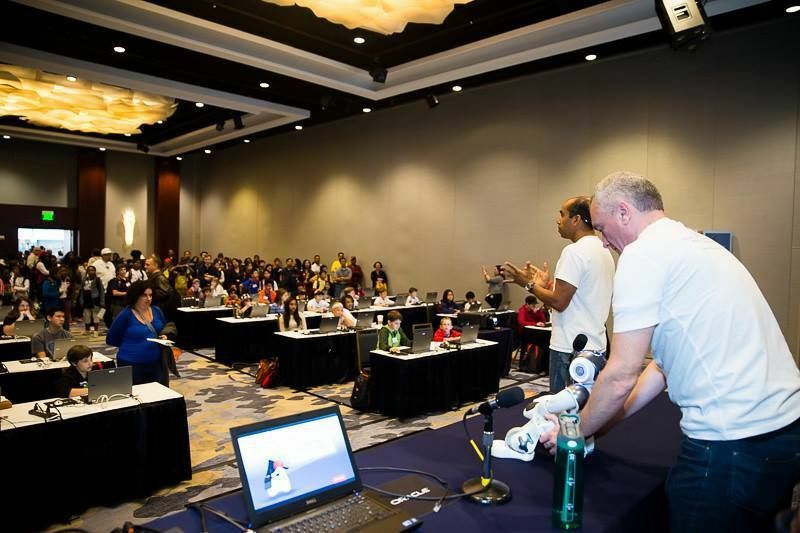 Do you remember JavaOne Kids Day 2014? It was quite a blast with ~135 kids learning Python, Minecraft modding, Arduino, NAO, Greenfoot and lots of other technologies using hands-on workshops. Satisfying and rewarding are the two words that will summarize helping with the event last year! Based upon this very popular attendee request, and extremely positive feedback from everywhere else, JavaOne 2015 is taking that event to a much bigger scale. However this event will only be successful if you are share your passion and time to educate kids. 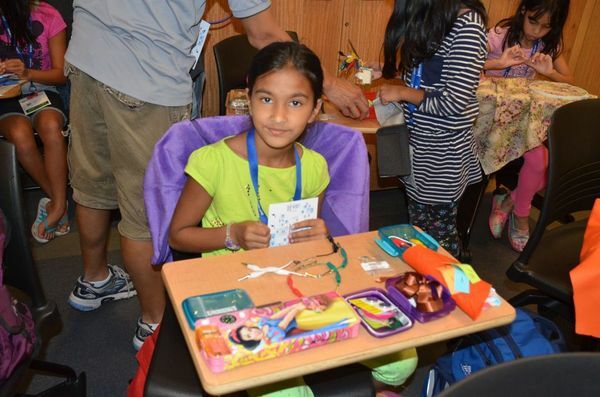 How can I help JavaOne4Kids 2015? Are you a technology educator? Are you a school teacher who would like to deliver a workshop at a professional conference? 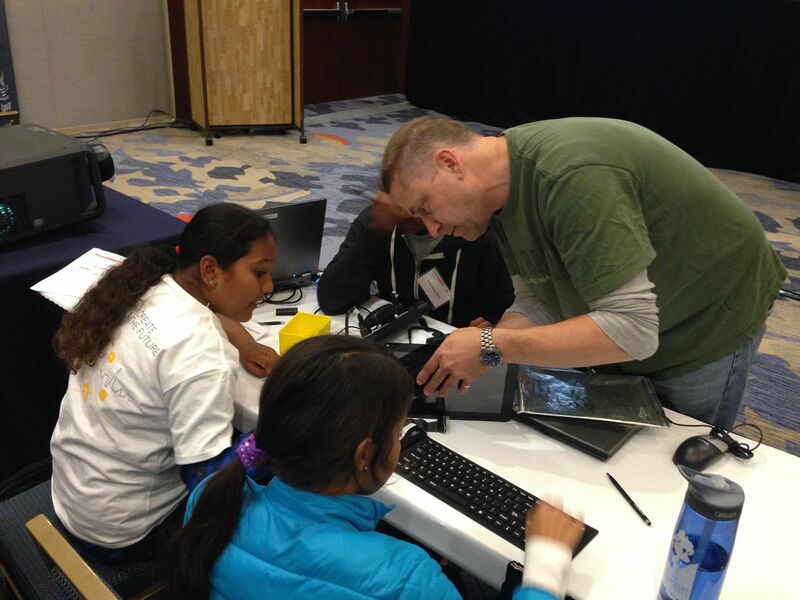 Are you involved with CoderDojo or Devoxx4Kids instructor who would like to give a workshop in San Francisco? Building simple mobile applications using Android or iOS? JavaOne Call For Papers is open. 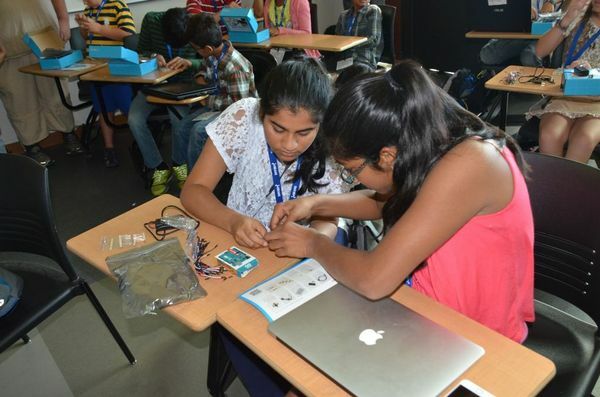 There is a special track for developers and educators who are interested in delivering a two-hour hands-on workshop targeted at children 10 to 18 years old. 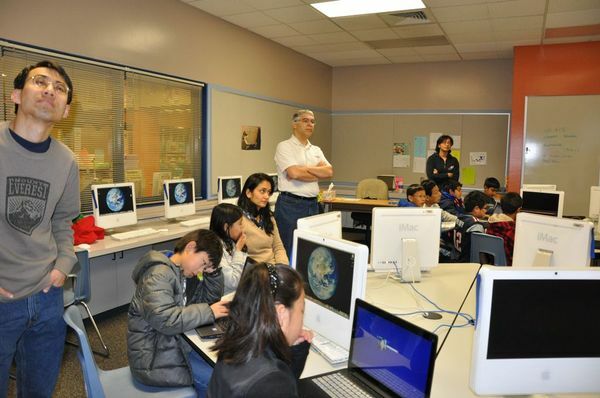 Presenters will be responsible for preparing all the content and required hardware and software for 50 children—exclusive of laptops, which will be provided. If you’ve submitted talks for the main conference, then this would be a great opportunity to bring your kids. They can either attend the workshop, or even deliver a workshop. 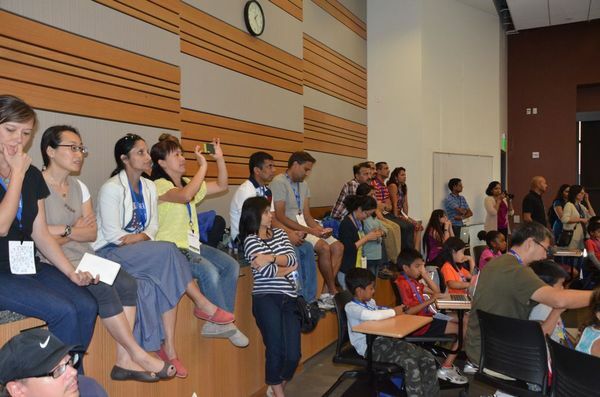 To submit a JavaOne4Kids Day talk, select “JavaOne4Kids Day” as the session type. Even though you are required to populate a primary track, this field will be ignored. Read complete details at oracle.com/javaone/javaone4kids.html. Don’t wait, submit your workshop today! Would you like to learn Minecraft Modding in a family-friendly way? Don’t have any previous programming experience? 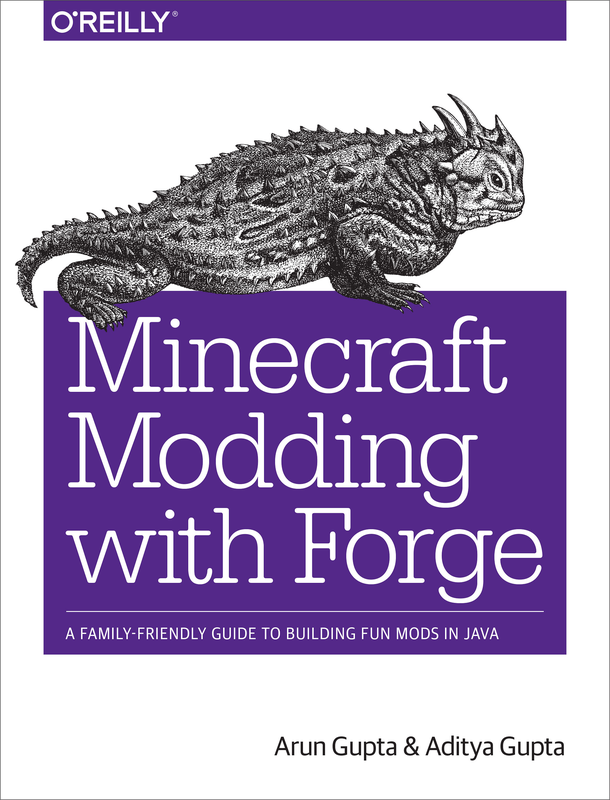 This new O’Reilly book on Minecraft Modding with Forge is targeted at parents and kids who would like to learn how to create new Minecraft mods. It can be read by parents or kids independently, and is more fun when they read it together. No prior programming experience is required however some familiarity with software installation would be very helpful. Minecraft is commonly associated with “addiction”. This book hopes to leverage the passionate kids and teach them how to do Minecraft Modding, and in the process teach some fundamental Java concepts. They also pick up basic Eclipse skills as well. Appendix A What is Minecraft? Each chapter also provide several additional ideas on what readers can try based upon what they learned. It has been an extremely joyful and rewarding experience to co-author the book with my 12-year old son. Many thanks to O’Reilly for providing this opportunity of a lifetime experience to us. The book is available in print and ebook and can be purchased from shop.oreilly.com/product/0636920036562.do. Scan the QR code to get the URL on your favorite device and give the first Java programming lesson to your kid – the Minecraft Way. They are going to thank you for that! Happy modding and looking forward to your reviews. Exactly two years ago, I wrote a blog on Introducing Kids to Java Programming using Minecraft. 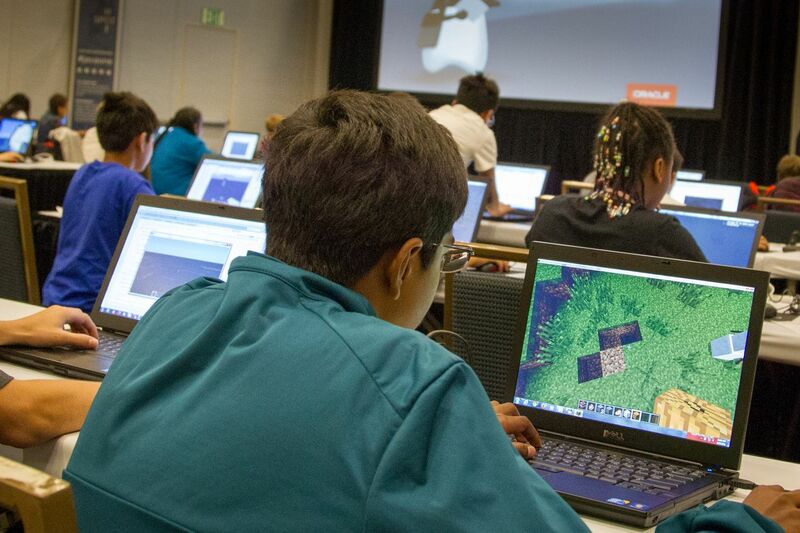 Since then, Devoxx4Kids has delivered numerous Minecraft Modding workshops all around the world. The workshop material is all publicly accessible at bit.ly/d4k-minecraft. 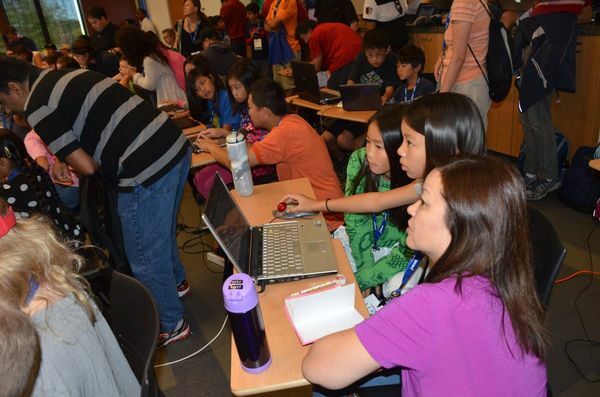 In these workshops, we teach attendees, typically 8 – 16 years of age, how to create Minecraft Mods. Given the excitement around Minecraft in this age range, these workshops are typically sold out very quickly. 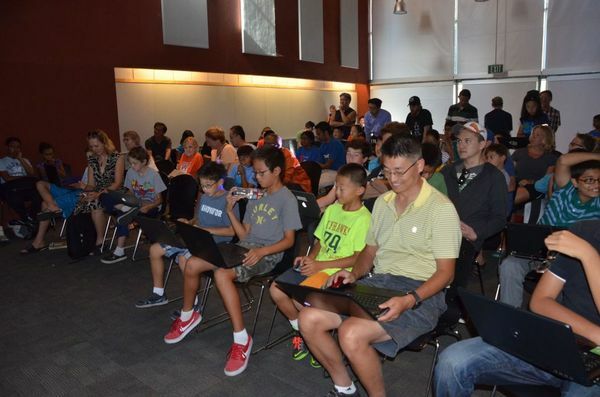 One of the parents from our workshops in the San Francisco Bay Area asked us to deliver a 8-week course on Minecraft modding at their local public school. As an athlete, I’m always looking for new challenges and break the rhythm. This felt like a good option, and so the game was on! My son has been playing the game, and modding, for quite some time and helped me create the mods easily. We’ve also finished authoring our upcoming O’Reilly book on Minecraft Modding using Forge so had a decent idea on what needs to be done for these workshops. All the workshop material is available at bit.ly/d4k-minecraft. Getting Started with Minecraft Modding using Forge shows the basic installation steps. These classes were taught from 7:30am – 7:45am, before start of the school. Given the nature of workshop, the enthusiasm and concentration in the kids was just amazing. 2 Work through the installation and get the bundled sample mod running. This bundled mod, without any typing, allows to explain the basic concepts of Java such as class, packages, methods, running Minecraft from Eclipse, seeing the output in Eclipse panel. 3 Chat Items mod shows how to create a stack of 64 potatoes if the word “potato” is typed in the chat window. Annotations and event-driven programming to listen for events when a player types a message in the chat window is introduced. String variable types and how they are enclosed within a quotes is introduced. 4 Continue with Chat Items mod and a couple of variations. Change the number of items to be generated. Generate different items on different words, or multiple items on same word. Integer variables for changing the number of items. How use Eclipse allows code completion and scroll through the list of items that can be generated. Multiple if/else blocks and scope of a block. 6 Ender Dragon Spawner mod spawns an Ender Dragon every time a dragon egg is placed. 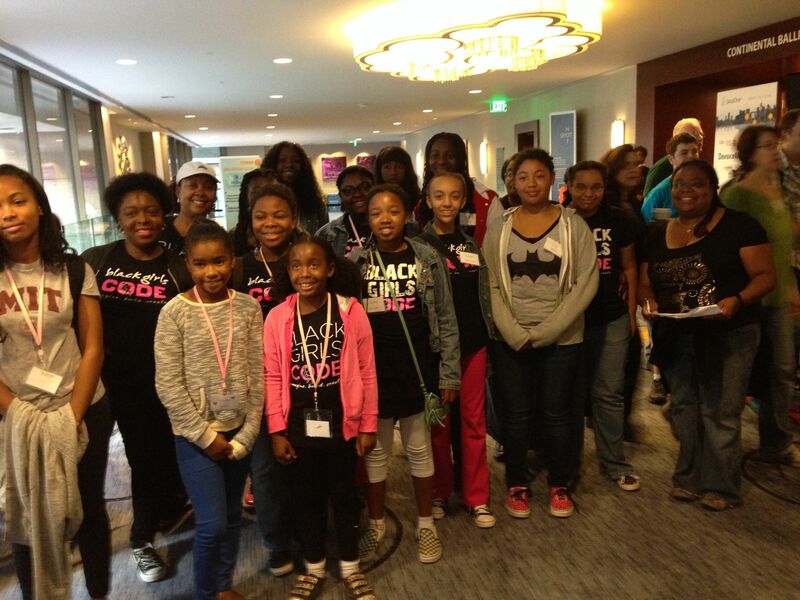 Most of the kids in this 8-week course had no prior programming experience. And it was amazing to see them be able to read the Java code by week 7. Some kids who had prior experience finished the workshop in first 3-4 weeks, and were helping other kids. Many thanks to attendees, parents, volunteers, Parent Teacher Association, and school authorities for giving us a chance. The real benchmark was when all the kids raised their hands to continue workshop for another 8 weeks … that was awesome! Is Java difficult as kids first programming language? Yes, Java is a bit verbose, but was designed to be readable by humans and computer. Ask somebody to read Scala or Clojure code at this age and they’ll probably never come back to programming again. These languages serve a niche purpose, and their concepts are now anyway getting integrated into the mainstream language already. Ruby, Groovy, and Python are alternative decent languages to start with. But do you really want to start teaching them fundamental programming using Hello World. Kids are already “addicted” to Minecraft. Game is written using Java and modding can be done using Java. Lets leverage that addiction and convert that into their passion for programming. Minecraft provides a perfect platform for gamification of programming experience at this early age. There are 9 million Java developers. It is a very well adopted and understood language, with lots of help in terms of books, articles, blogs, videos, tools, etc. And the language has been around for almost 20 years now. Other languages come and go, but this is the one to stay! Lets create some young Java developers by teaching them Minecraft modding. This will give them bragging rights in their friends, parents a satisfaction that their kids are learning a top notch programming language, and budding Java developers to the industry. 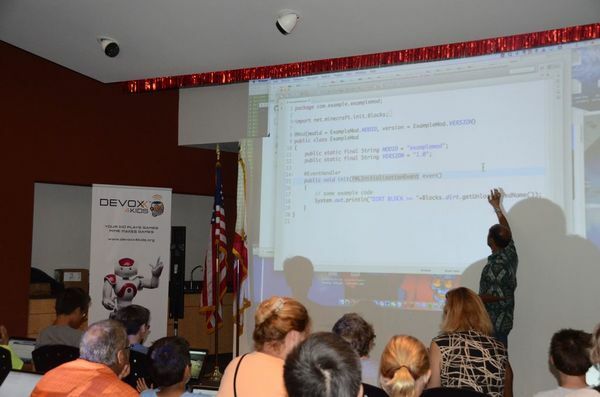 Sign up for an existing Devoxx4Kids chapter in your city, or open a new one. 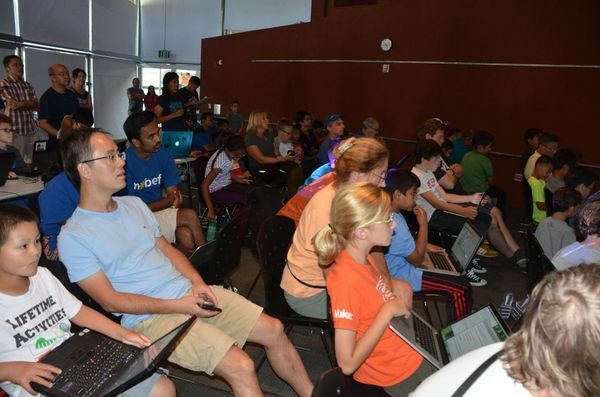 If you are in the San Francisco Bay Area, then register for one of our upcoming workshops at meetup.com/Devoxx4Kids-BayArea/. There are several chapters in the USA (Denver, Atlanta, Seattle, Chicago, and others). Would your school be interested in hosting a similar workshop? Devoxx4Kids can provide train-the-trainer workshop. Let us know by sending an email to info@devoxx4kids.org. Would you like to learn Minecraft Modding in a simple and easy-to-understand language? Don’t have any technical background or previous programming experience? This new O’Reilly book on Minecraft Modding with Forge is targeted at parents and kids who would like to learn how to mod the game of Minecraft. It can be read by parents or kids independently, and is more fun when they read it together. No prior programming experience is required however some familiarity with software installation would be very helpful. Each chapter also share several ideas on what readers can try. Game of Minecraft is commonly associated with “addiction”. This book hopes to leverage the passionate kids and teach them how to do Minecraft Modding, and in the process teach them some fundamental Java concepts. They also pick up basic Eclipse skills as well. The book is available in pre-released and can be purchased from shop.oreilly.com/product/0636920036562.do. Any pre-release buyers will get a final copy of the book as well. 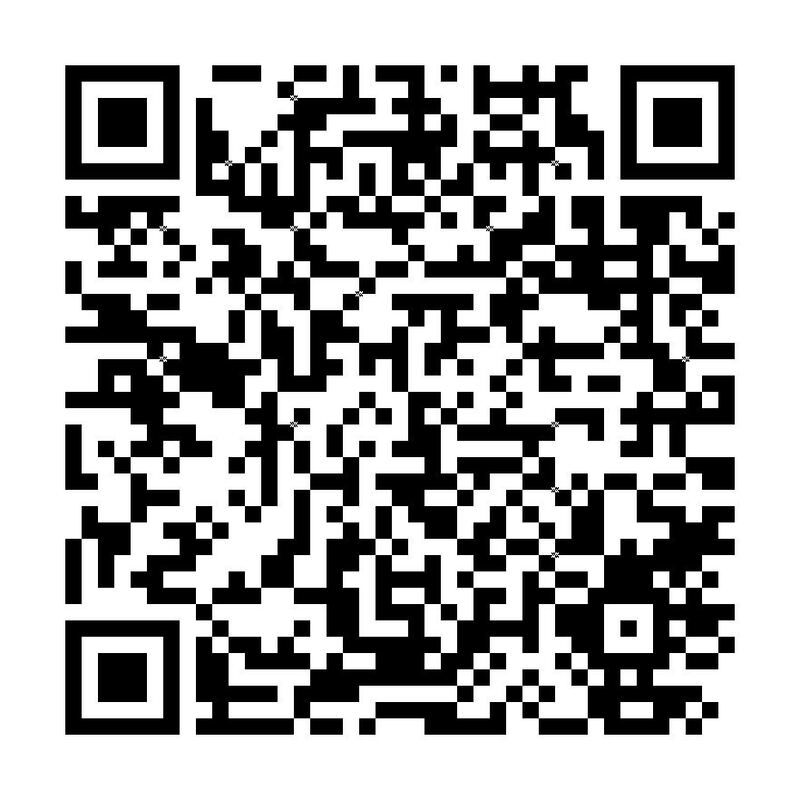 Scan the QR code to get the URL on your favorite device. Happy modding and looking forward to your feedback! 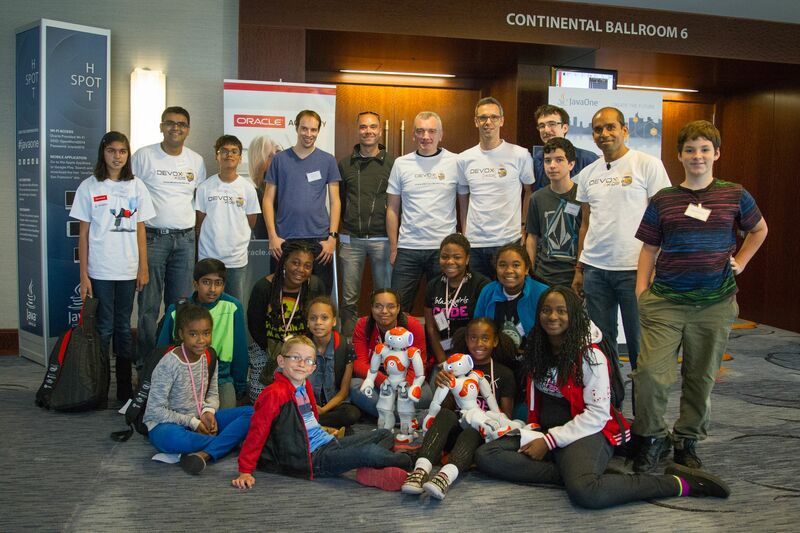 Oracle and Devoxx4Kids worked together to provide a fun and technology-rich experience for kids at JavaOne 2014. Inspirational, rewarding, and fun are three words that summarize the event for me. 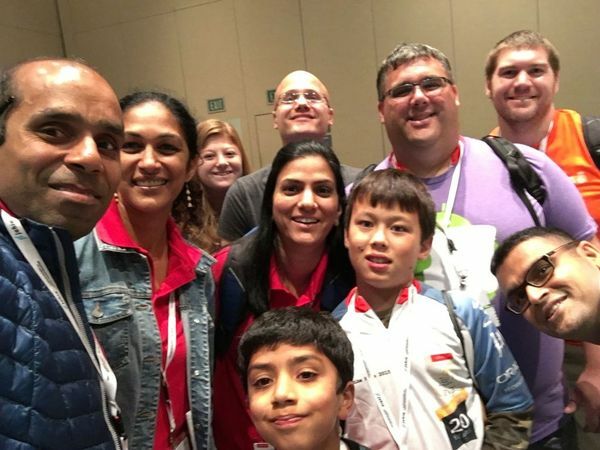 If you live in/around San Francisco Bay Area, then highly recommend joining meetup.com/Devoxx4Kids-BayArea/ for a continued experience! It takes a village to run an event like this. This was certainly not possible without the impeccable support from Oracle team, JUG leaders, Java Champions, and several other volunteers who helped us through out the team! 300+ kids, 16 speakers (4 from middle/high school), 6 rooms, 24 sessions of 75 mins each = extremely rewarding weekend + inspired kids! 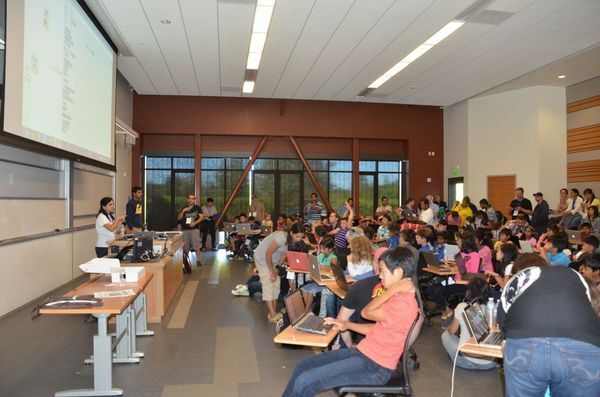 And the name is Silicon Valley Code Camp 2014 Kids Track. 300+ kids, wow! Is that the biggest known event focused on getting kids excited in technology ? 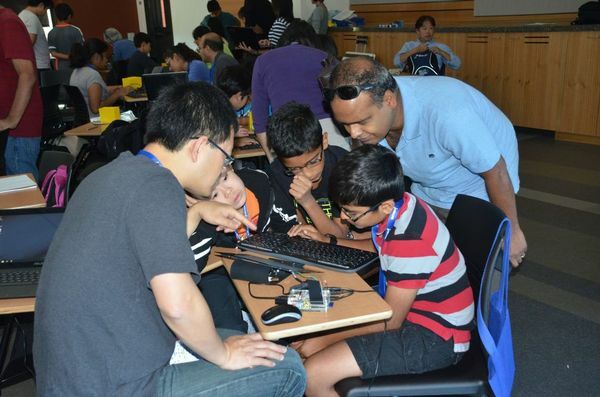 The event covered topics ranging from Minecraft modding, Building your first iOS app, Raspberry Pi, Arduino, Python, LEGO Mindstorms, Scratch, Squishy Circuits, and a whole lot more. 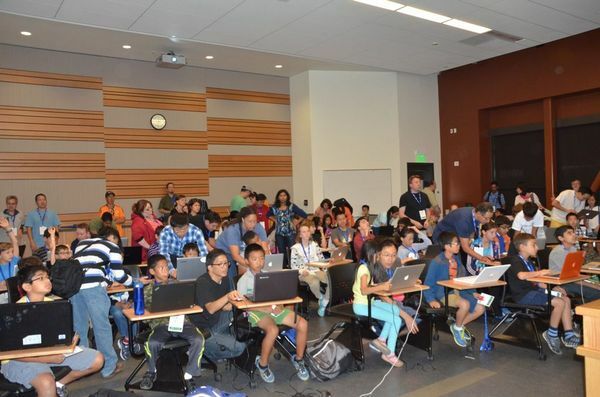 Many thanks to all the attendees, volunteers, parents, and of course Silicon Valley Code Camp organizers, especially Peter Kellner (@pkellner) for providing all the support to educate and inspire kids! We’ll be back next year, bigger and better. Feel free to leave feedback on this blog. 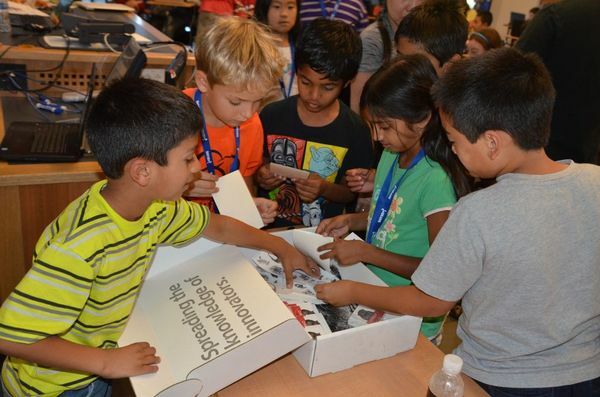 Are you interested in opening a local Devoxx4Kids chapter in your city ? 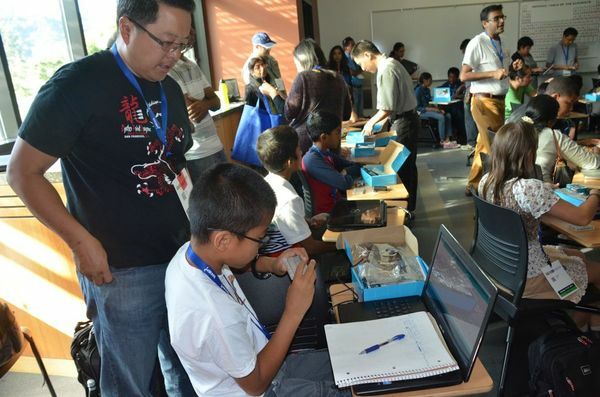 Join www.meetup.com/Devoxx4Kids-BayArea if you are interested in an event that provides technology workshops for kids through out the year.